Richard E Grant is one of the latest celebrities to show their support for the game of bingo. It was reported by the Daily Mirror that Richard E Grant enjoyed a game of bingo with (great cook) Nigella Lawson over the festive period and the two have now apparently been joined in their (back bingo) campaign by none other than the great Eddie Izzard. According to the Mirror, a land based bingo club situated in (Alhambra, Penrith) is under threat of closure due to the bingo club not turning a profit anymore. The bingo club is due to be closed on 3rd March 2011, but a petition has already been started by local residents to save it. To date the petition to save the Penrith bingo club has receive over 3,000 signatures, however with a new development scheme for the bingo site already on the cards……….10,000 signatures could be on the petition, but its doubtful whether they will make any difference at all. Land based bingo clubs really have had a fight on their hands over the past few years, what with the absurd double taxation law, the smoking ban and online bingo. All three of these aspects have played a part in the demise of land based bingo clubs throughout the UK, but we are pleased to say that bingo operators are fighting back. 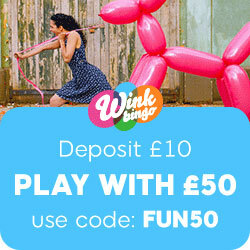 Recently we have seen the introduction of (super bingo halls) which provided the local community with all round entertainment (and not just bingo). The Mecca Super Bingo Club situated in Beeston is proving to be a rip roaring bingo success and a place which not only offers local residents with a great value for money night out, but a place where they can relax and enjoy some fab shows. Land based bingo clubs really can be a lifeline to our elderly and we should all do what we can to help save them (they are our heritage after all). This entry was posted in Bingo News and tagged Mirror Bingo on January 24, 2011 by Emma.